10 Things Experts Fail to Tell You About Retirement. Hint: It is Not About Finances! Like an epidemic, it seems as though everyone I know has issues with sleep. For some, it is insomnia from a too active mind, while for others, the problem comes from aches and pains or to nature calling multiple times in the middle of the night. And for others with a seemingly normal life, the reason is elusive. Whatever the reason, sleeplessness has become an epidemic and something I have been dealing with for years. For the past three months, I have been religious in using essential oil sleep aids in the form of salves, massage oils, and diffuser blends. Take your pick, each method seems to work and for that I am grateful. 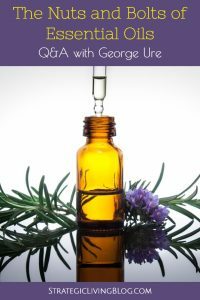 Today I share the blend I use along with tips for using it in a salve, as a massage oil, and in your diffuser. Oh, and just so you know, this is not just a girl thing. This blend works on men, too! Most people my age have a nightstand covered with prescription drugs. I have a nightstand covered with salves. The two I use nightly without fail are my Sleepy Dreamy Salve and my Blood Pressure Salve (more about that one at a later date). This is my nightstand. Not a prescription bottle in sight. To make your Sleepy Dreamy Bedtime Salve, add 24 drops of the blend to a one-ounce jar of your base carrier salve (instructions here). This is a 4% dilution which is plenty strong. At bedtime, take a good size dab of salve and rub it over your abdomen. You heard me right. The abdomen aka the belly. Most websites will suggest applying salves to the bottom of your feet but after having excellent results using a digestive blend to my abdomen, I switched. Call me crazy but it did not make sense that the oils would absorb as well through the thick soles of my feet that run around in sandals and flip-flops on most days. If you do not have any Base Salve ready to go, you can quickly make up a small batch or purchase some pre-made. Measure the coconut oil, extra virgin olive oil, and beeswax into a heatproof glass jar or measuring cup. Set in a pan of water on a low simmer until completely melted. You can help things along by giving it a quick stir from time to time with a knife. This may take some time, up to 30 minutes. When everything is completely melted, remove from heat. Carefully pour the warm oil into ointment jars or small mason jars, leaving some headroom at the top. Set aside to firm up. Depending on the temperature of your home, this can take up to 12 hours. Don’t want to mess with a salve? No worries. Add the requisite number of drops to a small bottle of carrier oil in accordance with the table below. I like to use these 15ml dropper bottles but any small glass bottle will do. At bedtime, rub some over your abdomen as described above, or even better, have your partner rub some on your neck and shoulders. Talk about sweet dreams! For a carrier oil, I favor Jojoba Oil or Fractionated Coconut Oil (referred to as FCO) but almost any liquid carrier oil will work. Sweet almond oil is a good one but I would avoid thick gooey oils such as Castor Oil. Running a diffuser at night not only disperses essential oils into the room but also adds moisture that can assist with your breathing. I use 6 to 8 drops of this blend in my diffuser at nighttime and boom, I am asleep before you know it and I stay asleep. The only downside is that I enjoy the aroma but my olfactory senses become immune to the smell. While the oils are still working, I don’t smell it. Because of this, I tend to mix things up when using my nighttime diffuser. Your mileage may vary but I go three nights sleep blend on and three nights sleep blend off. On alternate nights I use something else but always, I run the diffuser. Did I make up this blend myself? Nope, I found it on the internet along with many others I tried and later discarded. It is based upon the Dream Blend sold by Spark Naturals and one that works for me. That said, my goal with this DIY version was to become independent of pre-made blends so I could adjust formulas to my needs and, if necessary, become brand independent. That said, the Spark Naturals Dream Blend is outstanding and worth trying before you purchase the individual oils to make up this DIY version. Over the years I have experimented off and on with a number of sleep blends. Truth be told, this is the blend I started with and the blend I kept going back to when others did not work for me at all. Some of the oils and blends I tried did nothing for me personally put my husband, Shelly, to sleep in an instant. Go figure. Others gave me hallucinogenic dreams. But this blend? Ah! I go to sleep quickly and stay asleep. But even more important, I wake up refreshed and ready to face the day with joy and energy. I hope it works the same magic for you. Back in the day, I would end each article with a list of products related to the post. In all cases, these were products I purchased myself, used, and felt comfortable recommending. Many of the products I now use can be found on the Resources Page. In addition, here are today’s suggestions, aptly named the “Strategic Haul”. Ointment Jars: Over the years, I have used both plastic and glass ointment jars. For individual salves, I recently found these amber glass jars and now I use these exclusively. If you prefer plastic, I use these smaller 1/2 ounce and 1-ounce jars that I purchase in bulk for very little money from Amazon. Dropper Bottles: As with my preferred ointment jars, I recently discovered these 15ml amber dropper bottles made by Vivaplex. There was no looking back. These are leakproof and budget-friendly. Essential Oils: I use essential oils from Spark Naturals because I trust the company and their products. That is not to say that there are not many other fine EO companies out there because there are. Still, as EOs become more mainstream, I am seeing poor quality oils being pitched as the real thing. Honestly, if the price is too good to be true, you can bet the oils are fake. You can purchase Spark Naturals from their website or on Amazon. Fractionated Coconut Oil: FCO, as it is called, is liquefied coconut oil. Fractionated coconut oil has been treated with heat so that it does not solidify at cooler temperatures. It is for external use only. My preferred brand is Plant Therapy. Hi, Gaye. I would have thought these oils to be stimulants but I trust you, so I mixed up some up for my son who works night shift, and therefore hasn’t really slept in 10 years–fingers crossed! I’m going to try your diffuser recommendation: do you use the 100ml or 160 ml? I forgot to mention that something that works for my husband but not at all for me is Roman Chamomile. If you have some on hand, you can try using that or use it to alternate with the sleepy dreamy blend. Definitely the 100 ml. I have not written about this (yet), but it is my belief that as the water/oil in the diffuser is released, the headspace that is left over inside gets filled with the mist and traps the remaining oils from being released. Have you ever used a diffuser and four or five hours later discovered that you can no longer smell the oils? That is what I think is happening. The Aromasoft is such an outstanding diffuser I suppose I should order the large 160 ml model to see how it works. Most of my other diffusers are larger than that. This recipe is a Camp Wander original and I’ve been using it since she published the DIY on her blog in 2013. It is a great blend for sleep.